Hypnotherapy in Bergen County, NJ | Hypnotherapy in MorrisCounty, NY | Hypnotherapy in NJ and now during this summer season, Hypnotherapy in Middlesex NJ, all in the privacy of your own home! In today’s world, things move at a lightning-fast pace and everyone is busy trying to keep up. With so many demands on your time and schedule, it can be hard to find the time to get the help that you need. But what if the reason that you can’t get the help that you require is because of physical or emotional conditions that limit your ability to leave the house? What if you are not able to go to your therapist’s office because you just can’t? The solution is simple. 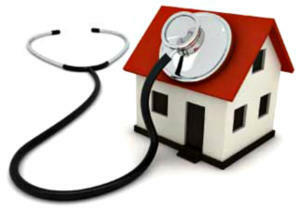 Advanced Care Hypnosis is offering the option of house call hypnotherapy. If you have been dealing with fear and anxiety and a host of other conditions that are limiting your life and keeping you from reaching your full potential such as smoking, allow Daniel Rose to come to you, so that you can experience relief. 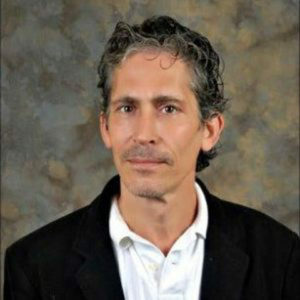 Daniel Rose has over 30 years of experience helping patients who experience debilitating anxiety and struggle with phobias and fears. He has had an enviable success rate and is now offering to bring that expertise right to your door. If you have been putting off getting treatment with hypnotherapy because you just do not have the ability to get to the office of Advanced Care Hypnosis in New Jersey, then this is your chance to secure a house call as well as online hypnosis is way farward to you. There are many viable reasons why it can be hard to make it to an appointment outside of your usual activities. You may be avoiding making the commitment to seek help for your condition with the excuse of a busy life, and you have been allowing your commitments to be met to the detriment of your health. Maybe you experience a physical malady that keeps you home bound or care for someone that needs you to remain in the vicinity. It is also possible that you are dealing with a particular fear or anxiety that keeps you home, unable to drive, or in fear of public places. Daniel Rose offers house calls for just this reason. Online hypnotherapy can be the answer to what is holding you back, and with a hypnotherapist coming to you, you can finally get the help that you need. Sufferers of smoking / weight loss or those with a fear of driving are just the type of patients that Advanced Care Hypnosis helps on a daily basis. By placing patients into a hypnotic trance, hypnotherapists are able to replace negative thoughts and fears with positive affirmations while their patients’ minds are open, relaxed, and calm. There are a lot of advantages to a hypnosis house call or online hypnosis such as phone hypnosis and skype hypnosis. Among them, you will be able to seek help when you have a condition that makes a regular appointment difficult, if not impossible. You no longer have to fear the actual appointment and can instead look forward to the chance to make progress and get better. You can experience your hypnosis session from the ease and comfort of your home, increasing the chances of relaxing. Contact Advanced Care Hypnosis at 973-402-6882 for the chance to see if a house call is available for you. Please keep in mind that in addition to the regular hourly fee, a travel charge may also be applied. Let Daniel Rose help you conquer your fears and anxieties, to lead a happier and more fulfilling life. We proudly offer hypnosis online / Hypnosis by phone / Skype hypnosis and house calls.